We integrate your voice-enabled processes with your existing enterprise systems – whether it’s ERP, MRO, MES, SAP, or some other mission-critical IT system, we integrate the data flows from your customized pick technology solutions to the rest of your enterprise. We translate your standard operating procedures and documentation processes into a threaded dialog that simplifies operations and guides users through their tasks. We follow a proven project plan to put everything together and ensure your voice-enabled system is world class. Once your pick technology system is fully operational, we provide the user training and support necessary for assuring the performance you demand. At Mountain Leverage, we know how to make Honeywell Vocollect voice perform. We have extensive experience with the Vocollect products in hundreds of successful projects. Whether it’s VoiceArtisan®, VoiceLink® or VoiceExpress™ or VoiceDirect – or a combination of technologies – we are experts at developing a customized hardware and software solution best suited to your operation. The utility of Operational Acuity is it’s ability to deliver actionable insights that ensure efficiency and excellence to your operation. Our customized pick technology system literally talks your selector through a process, and the worker interacts with the voice system by confirming their actions and indicating they are ready for the next step. Staff are guided through the workflows with various voice queries to change workflows or request information. The worker hears and responds to interactive voice cues using a lightweight headset, which is attached to a small, wearable voice computer. The solution is easily integrated into any ERP or other host system. New tasks can be requested by the host system, workers can send back process data such as quantities picked or parts consumed triggering an alert or question to warehouse management as tasks are updated and completed. This type of real time communication enables real time triggering of replenishment or cycle counting or other actions which lead to a more efficient warehouse operation. These voice systems are used in a wide variety of industries and environments and are tailored to fit existing company processes and procedures. Pick technology solutions are ideal for use in extreme freezer environments where hands-free operation yields real productivity improvements without the need for a keyboard or screens fogging on an rf scanner. Special headsets have been designed for hard hat and high noise manufacturing or warehouse environments as well. Training time is significantly reduced with voice solutions; the average worker can be trained in only one to two hours with voice systems. The economics of this reduction in training time is particularly relevant for seasonal businesses or those with cyclical labor requirements or high turnover. 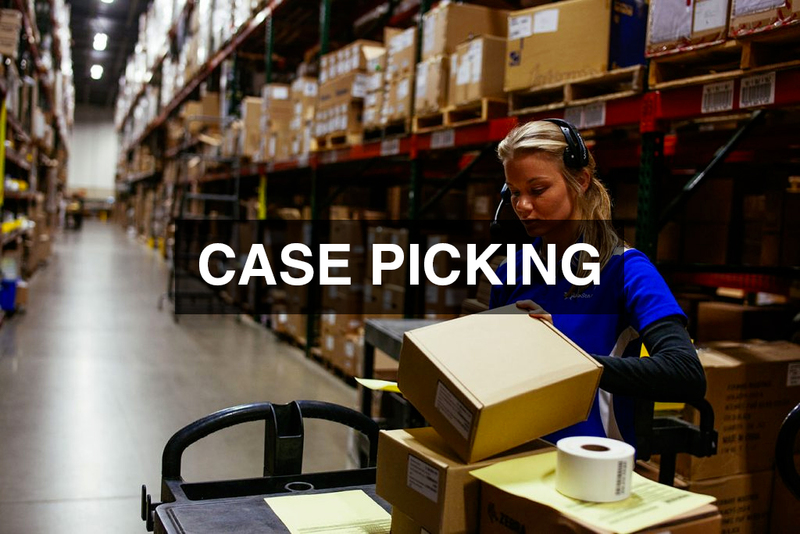 Mountain Leverage has over a decade of experience integrating warehouse voice directed pick technology solutions for nearly 2000 customers. Our “white glove” implementation methodology starts with an initial qualification call to learn about your business, needs, plans and pain points. Following this call the next step is for a member of our team to visit you and see your warehouse systems. We want to understand your particular process flows and systems priorities in detail. Our customer-centric focus is best stated in Our Company Promise: We will keep it simple. We won’t sell you anything you don’t need. And we won’t keep you waiting.